[패턴영어회화] Is there still~? 아직도 ~가 있어? Is there still bullfighting in Spain? 아직도 우리 주위에 마피아가 존재할까? Is there still the Mafia around us? 아직도 이용 가능한 표가 남아있어? Is there still an available ticket? 통에 아직도 땅콩 잼이 남아있어? Is there still peanut butter in jar? Is there still any flavor in your gum? 아직도 해결되어야 할게 남아있는 거야? Is there still something left to be resolved? Is there still the scent of perfume in the air? 건물에 주차할 데가 아직도 없는 거야? Is there still no parking at the building? 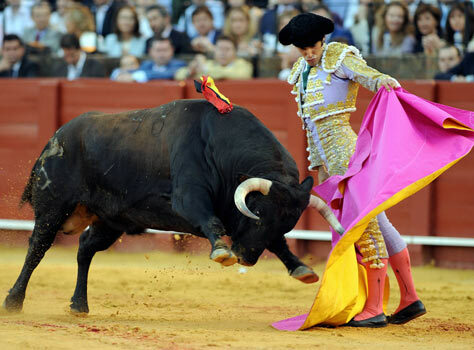 A: Is there still bullfighting in Spain? 스페인에서는 아직도 투우를 하고 있나? ​B: It’s part of the culture. A: Is there still peanut butter in the jar? 통에 아직도 땅콩 잼이 남아 있어? B: There might be enough for a sandwich. 샌드위치 하나 정도는 될지도 모르겠네. A: Is there still no parking at the building? 건물에 주차할 데가 아직도 없어? B: It’s hard to say. Cars comes and go. 확실하지는 않아. 차들이 들어오고 빠지긴 하는데.